We offer both stand-up and laydown tanning bed services. Like the sun, UV- tanning can help increase melanin production which helps darken your natural skin tone over time. 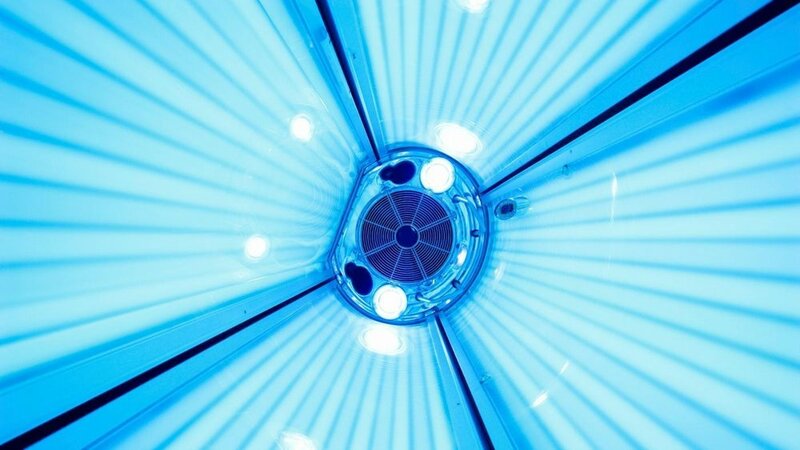 Not only does UV-tanning help you achieve the bronzed hue you always wanted for your skin, it can also trigger your body to produce more vitamin D and thus achieving your recommended intake. So say goodbye to expensive and unnatural supplements! Included in this service is a selection of lay-down beds and stand-up beds, as well as a variety of tanning lotions. You must be 18 years or older to use any Uv services. Otherwise, you will need permission from a parent or guardian. In just 3 minutes, achieve the desired even, full-body tan, from our private, warm, automated in-salon HD Mystic Tanning Booth. Whatever the moment – wedding, date, vacation, party or just because you deserve it – it’s always the right time to Mystic Tan. Included is this service is the spray tan and all the necessary protective gear. Manual airbrush tanning is a customized tanning experience that is great for special occasions like weddings, fitness competitions, photo shoots or covering up cellulite, scars and uneven skin tone. Depending on your skins natural undertone, you and the tanning tech will agree on the color that best suits you and proceed with the session. The tech will walk you step by step through the process for best results. This service includes: Customized tanning solution applied by our trained tech, as well as protective products for your nails, hands, feet and hair. You can visit our salon or make a mobile appointment where we go to you! Schedule a girls day with you and 4 of your friends for a cheaper rate! Shower, shave and exfoliate your skin 2 to 24 hours before your appointment. DO NOT apply any lotions, make up, perfume or deodorant. These products will act as a barrier between your tan and your skin and will result in uneven results. Clean skin is the best skin. Plan to relax after your appointment. Any activity involving water, sweating or steam can cause the tan to streak. But not to worry this developing process only lasts up to 6 hours post tanning.